SYNOPSIS: Hitting theaters 4 years before Arnold Schwarzenegger's The Running Man was this French film with a similar idea. 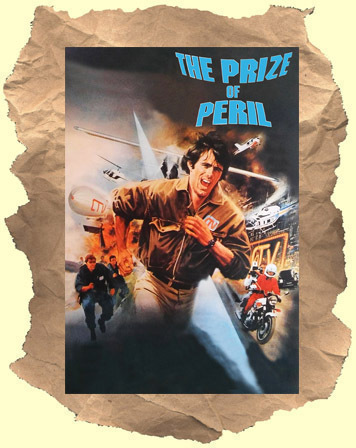 In the near future, contestants go on a television game show called "Prize of Peril" and fight for their lives against a team of bounty hunters. Survivors get cash and prizes. The show is broadcast live to bloodthirsty viewers. This film didn't have anywhere near the same budget as Arnold's big hit. But it does deal more with the social implications of poor people willing to risk their lives for a little financial freedom. It has much less campy humor and a higher quality of actors. French acting legend Michel Piccoli plays the sleazy game show host. The director sued the makers of The Running Man when it was released. Dubbed in English.